“It strikes me that it is reasonable to wonder, does there exists for every artist a natural way to use the materials in order to make an authentic expression? Or should one simply have a good idea for painting and go to it, unconcerned with personal habits and tendencies? Is there a useful difference between who I am and what I make on the one hand, and who I could be, what I could make, on the other? COREY ANTIS’ work has been exhibited in national and international exhibitions at the Rebekah Templeton Gallery, Greenlease Gallery at Rockhurst University, Booster and Seven Gallery, the Vox Populi Gallery, Three Walls, Heaven Gallery, Jenny Jaskey Gallery, the D.C. Arts Center, Greenstone Gallery, Hunter College, the Rhode Island School of Design, the Frieze Projects Art Fair, the Stray Show and SPACE Gallery, among others. He received a B.F.A. degree in painting and a B.A. degree in English from Cornell University, as well as an M.F.A. degree in painting from the Tyler School of Art, Temple University. He currently lives and works in Kansas City. 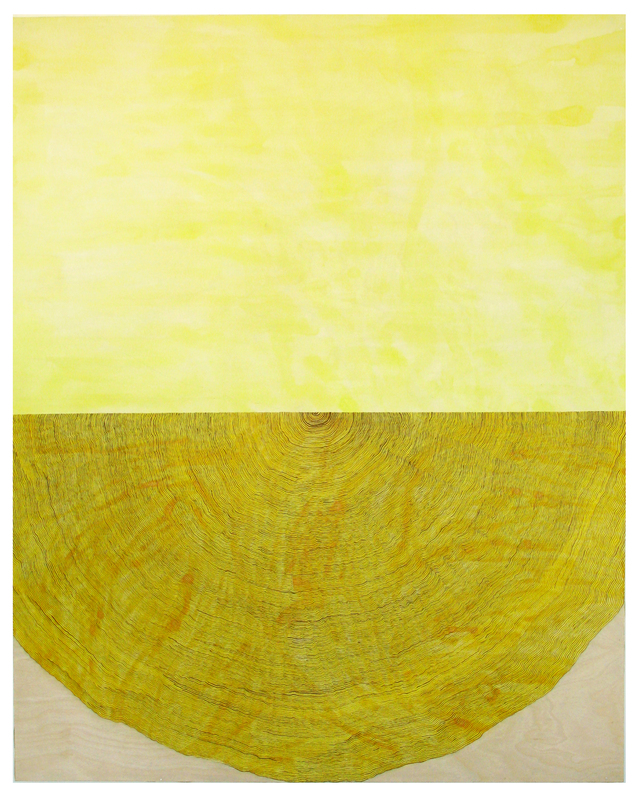 HANNAH BARNES’ paintings, drawing, and installations have appeared nationally in such places as the Academy of Fine Art and Design in Wroclaw, Poland, the Institute of Contemporary Art in Portland, ME, the Richmond Museum of Art in Indiana, the Shore Institute for Contemporary Art in Long Branch, New Jersey, and Work Gallery in Brooklyn, NY. She has been awarded residencies at the Vermont Studio Center, the Heliker- LaHotan Foundation, the Calumet Artist Residency, and the Pace House Residency. Born in Massachusetts, Barnes lives and works in Indianapolis, IN and teaches painting at Ball State University. KATHERINE BRADFORD attended Bryn Mawr College and holds and MFA from SUNY Purchase. Her work is held in the collections of the Metropolitan Museum of Art, the Brooklyn Museum of Art, the Portland Art Museum (Maine), and the Farnsworth Museum (Maine). She lives in New York City and has a painting studio in Williamsburg, Brooklyn. She has been the recipient of numerous awards including the Joan Mitchell Foundation Grant, Guggenheim Fellowship and the Pollock-Krasner Foundation Grant Award. JENNIFER MOSES lives and paints in Boston, Massachusetts. She is currently represented by the Kingston Gallery and the Clark Gallery. Moses has been included in group exhibitions across the country and throughout New England. Her work has been reviewed in Art New England Magazine, The Boston Globe, The Boston Herald, Sculpture Magazine and The Roswell Daily Newspaper. In 2011 her work was included in the Northeast edition of New American Paintings. Moses has received numerous awards and was recently invited to Yaddo in Saratoga Springs, NY. She was a fellow at the Roswell Artist in Residence, in Roswell, NM. She holds a BFA from Tyler School of Art and an MFA from Indiana University. Moses is a Professor of Art at the University of New Hampshire where she has taught for twenty-four years. JILL NATHONSON was born in New York and received her BA from Bennington College and her MFA from Hunter College. In 1982, as a recently graduated young painter, she was selected by Anthony Caro to participate in the first Triangle Artist’s Workshop, held in Pine Plains, New York. Nathanson has been exhibiting in solo and group shows since 1981, including several curated exhibitions at The Painting Center and other New York locations. Recent touring exhibitions of works exploring analogies between color and Kabbalah have been seen at the Philadelphia Museum of Jewish Art and at Yale University, among other venues. Her work is in numerous private and public collections. She is represented by Messineo Art Projects/Weyman Contemporary in New York. Nathanson’s work is included in the National Academy Museum Annual, 2012. She lives and works in New York. LINNEA SPRANSEY graduated from Yale in 2001 with an MFA in painting, and her work has been exhibited throughout the United States and internationally at numerous academic institutions and galleries and is featured in corporate collections. She is represented by Byron Cohen Gallery in Kansas City, Missouri and currently lives and works in Los Angeles, California. DAN SUTHERLAND received his M.F.A. from Syracuse University and his B.F.A. from James Madison University. He is currently an Associate Professor at the University of Texas at Austin, where he has been teaching painting and drawing since 1991. Before moving to Austin in 1996, Dan lived in San Antonio. He has exhibited in the Bay Area, Los Angeles, New York, Chicago, Philadelphia, San Antonio, Houston and Fort Worth and is represented by Moody Gallery in Houston, and David Shelton Gallery in San Antonio.